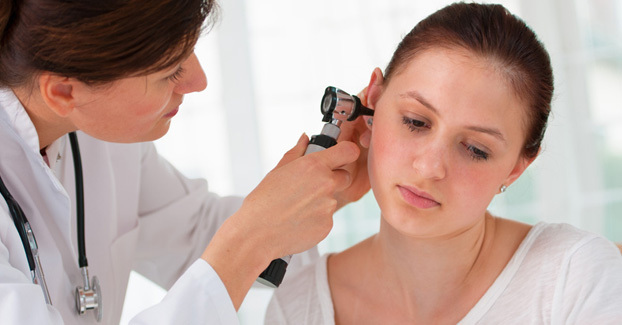 "I like the way Dr. Fowler approached my hearing problem. Your staff focused on what they could do to help me"
Our sense of balance is determined by our visual system, the inner ear, and our sense of movement via muscles (kinesthetic sense). When these systems don’t work together and function properly, dizziness usually occurs. We work closely with your primary care physician and ENT specialists to ensure continuity of care for our balance patients. Is dizziness a symptom of something more serious? Dizziness can be caused by viruses, small calcium deposits in the inner ear that break free (ear rocks), drugs which are toxic to the vestibular (balance) system, head trauma, diseases such as Meniere’s and other conditions not necessarily related to the vestibular system. Any disturbance in the inner ear, with or without hearing loss or ringing in the ears (tinnitus), may cause a feeling of dizziness. The Keystone Hearing Institute balance system assessment is conducted to detect pathology with the vestibular or balance system; to determine site of lesion; to monitor changes in balance function; or to determine the contribution of visual, vestibular, and proprioceptive systems to functional balance. Vestibular or balance system assessment is necessary when a person complaints of vertigo (dizziness) balance dysfunction, gait abnormalities, or when pathology/disease of the vestibular system is suspected by an allied healthcare professional. What is a dizziness/balance test? A dizziness/balance test, more appropriately known at an electronystagmography (ENG) is necessary to help determine if your problem involves your inner ear or might suggest a central (neurologic) condition. Test results are obtained while you are seated or lying down and simply involve following visual targets, moving your body and/or head in different directions and undergoing a test that stimulates your inner ears (leads to dizziness). This test is not painful! What is BPPV and how do you treat it? Our treatment for BPPV, benign paroxysmal positioning vertigo, is very successful. BPPV involves the repositioning of tiny calcium carbonate crystals in the inner ears. Symptoms of BPPV typically include a true spinning vertigo which results after the quick turn of the head. The treatment for BPPV includes exercises that are focused on repositioning the calcium carbonate crystals in your inner ear. The success rate of this treatment is very high. What should I do if I think I have a balance problem? At The Keystone Hearing Institute, we believe that your primary care physician should be the manager of your healthcare. You should speak with your doctor about your concerns and request a referral to The Keystone Hearing Institute for balance testing. Rest assured, your physician will receive a comprehensive report of our findings and recommendations. I’ve been told that my dizziness is a normal part of aging, is this correct? No...it generally is not correct to attribute dizziness to the normal aging process. There is a root cause for all dizziness and determining that cause is paramount. It is true, maybe your dizziness was caused by factors that are associated with the aging process; however, it is impossible to make this conclusion without a comprehensive dizziness/balance assessment. If your dizziness was caused by factors associated with the normal aging process, there are treatments that will enhance your quality of life.